Moules Frites is charming Belgian bistro food. It can also be a fun family meal where anything can be eaten with your fingers! 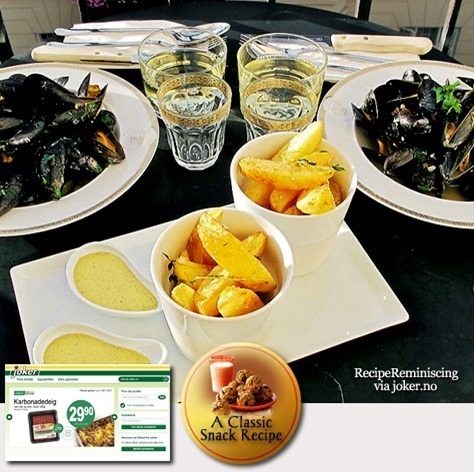 Follow this recipe to make delicious Belgian-style mussels with deep fried potato wedges and if you want to make it completely Belgian, mayonnaise as a dip for the potato wedges.